Mexico headed into the Hex with a clear conscious of what was ahead. They trampled the 3rd round with six straight wins and everything looked to be lining up for El Tri. Fast forward to 9/10/2013, Mexico walked off the pitch in Columbus with signs of physical and mental defeat. What happened? How could Mexico go from raising the Gold cup and Olympic Gold to an unrecognizable team? You could point to overconfidence, but overconfidence is usually remedied after a mediocre game. A spark usually pursues after an unexpected result. If I were to point to the obvious, it of course was not letting Chepo de la Torre go when it was the appropriate time. It feels like ages for how long the team was not responding to Chepo, and that my friends, is a cancer. Not necessarily Chepo himself, but the circumstances of a regime going past its expiration date. To be fair to Chepo…it happens. The U.S. parted ways with Bob Bradley, not because he was a bad coach, but because the cycle was over. This is a direct failure from the FMF and there is no two ways about it. The extra confidence in Chepo was like covering a major gash with a bandaid. This, in my honest opinion, can be traced back about a year ago. After the glory of the Gold in London, a dissension subtly began. There was an obvious separation between two generations. Mexico’s U-23 players, who were worthy of Senior team status, were praised by the country. The Senior side then responded by losing a friendly in our beloved Azteca. A fluke? Possibly, but the repercussions are being felt. The wins in the 3rd round of WCQ were great, but they didn’t do anything but prolong the agony of losing for the first time to the U.S. at home. Jamaica would then come into Azteca and play as if they were at home. No fear in Mexico, no worry about losing, and walked away with a historic draw. Since that point, Mexico never regained its confidence. Chepo began calling random players, many of which were past their prime, and it showed. His tactics grew stale, Mexico was lethargic, and everyones worries grew exponentially. The majority of the fan base saw what I saw, and believed what I believed. If things went as planned, we would see a Mexico national team filled with the U-23 side meshed with our Euro stars. Yet, several declined to play under Chepo’s control, and “veterans” continued to get their regular calls. Chepo being canned wasn’t going to spark a huge 180. The team was already discouraged. The team was defeated. You could see it after the USA’s first goal. The team in 2011 looked angry, wanted revenge after going down…by two goals! The team yesterday team looked around, walked back, and re-kicked the ball. Tena just recycled Chepo’s coaching, and the dreaded “jugamos como nunca y perdimos como siempre” rang true. We know the talent Mexico has, which is what hurts the most. Losing games which you know you can dominate in several aspects is gut-wrenching. I can honestly say that I have never seen such a talented team give away their dream. Mexico is now in a situation that has us all scratching our heads over. Mexico vs Panama is going to be a fight. But not a fight for Brazil…a fight for New Zealand. A new coach will be named, and new era will begin, and we will see if Mexico is ready to possibly right the wrongs. Do I believe Mexico can look revamped and taken on the rest of WCQ/New Zealand without doubts? Yes. I believe so, and we all saw what Uruguay did in 2010 after qualifying through playoff. However, if we see a similar mentality to that which we saw against Honduras, Jamaica, USA…Mexico will be watching the 2014 World Cup in their living rooms. Mexico was at one of its top peaks in recent history at the finish of 2012. Still toting the well deserved Gold medal, the boys in green were walking tall. The future was bright; continue demolishing the region in WCQ, and finish it off with some pizazz during the two upcoming tournaments. However, after a disastrous start to WCQ and flop out of the Confederations, the Gold cup was supposed to be the last chance to cleanse ourselves of this summer of hell. The tournament kicked off just as bad as we could have imagined. First, beaten in a Mexican backed Rose Bowl by our Panamanian foes. Followed by two victories which, in short, were snoozers. After sneaking past Trinidad in the quarterfinals, it almost (keyword) looked as if Mexico would finally wake up to take on Panama for a revenge date. Yet again, Chepo de la Torre did anything but lead this team into the semifinals. Not only did the game start off identical to the first game, but Chepo still didn’t budge on the changes needed. The two striker failure continued; Rafa Marquez Lugo was slow, lethargic, and looked lost. Chepo started him knowing full blown that he hasn’t scored, or caused any problem for opponents. Mexico had a mix up on a set piece early in the second half and it was the nail in the almost inevitable coffin. Mexico couldn’t find the second goal…close, but even if they scored, Panama was the much more hungry side. Mexico is leaving the Gold cup in complete disappointment. As two time reigning champs, the semifinal bow out is the cherry on the top of this summer of failure. The players do not trust Chepo, the tactics look off, and the brakes have given out on this ride. We have seen where it goes from here. Unfortunately, Mexico fans (like myself) will most likely not get our wish. There will be little chances of a coaching change. There are a plethora of excuses the FMF will use. Injuries, out of form players, not the most crucial of tournaments etc. Are they valid? To an extent. But looking back on this cup, it was predictable. But is it really hard to see? Not one, not two, but three major failures. Chicharito was able to reach 35 total goals for Mexico after his three in the Confederations cup run. He is now only 11 goals behind leader Jared Borgetti. Mexico’s U-20 fell to Greece after a late goal for a final of 1-2. Mexico will need to recuperate quickly as they face Paraguay in a crucial match on June 25h. The game will start at 11:00 A.M. ET. It appears Chepo will remain Mexico’s coach until the Autumn. Apparently there is a must win ultimatum against Honduras. If unsuccessful it will leave Mexico without a coach just days before playing the USA in Columbus. 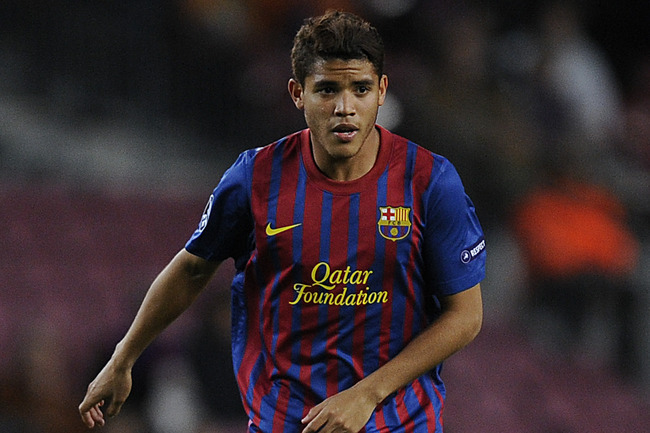 The Dos Santos brothers have Euro clubs eyeing them. For Jonathan, Anderlecht in Belgium, and Fiorentina are two major names. As for Giovani, Valencia may be a possible destination out of second division Spain with Mallorca. Mexico will be headed to the Gold cup in just two weeks. Their first match will be against Panama at the Rose Bowl (July 7). Be sure to check Pancho Villa’s Army to see if there is a watch-party near you! Due to injury, Hugo Ayala and Fernando Arce will miss the Gold cup. I rarely write negative about El Tri. I like to stay positive and look at the bright side about the future. However, I cannot bite my tongue much longer about Chepo. I have been reading the exact same thing from dozens of fans. If we have all been on the same page then something needs to be said. TriReport may be small, but as members of the media, we can voice the opinion of the fan. It seems most media is “talking” about Chepo’s poor performances, but no one is truly exposing his bullheaded ways. Tomorrow, Mexico and Japan will take part in a complete friendly. It is such a low-tier game that will be shown on ESPNews. Instead Brazil and Italy will have the spotlight. Wether Mexico is able to snag a measly three points tomorrow, it should have no effect on wether Chepo has earned the right to stay as manager. He has taken Mexico from a true force, to a one of the weakest teams in the Confederations cup. At the moment, Chepo has Mexico sitting with an embarrassing 8 points in the Hex. We even needed our most dreaded rival to win, just to keep us from losing a spot in WCQ. Mexico has zero wins in Azteca, and not even a single goal scored at home. Coming into June, Mexico needed results. The race for the World cup was getting tighter, and after three matches, El Tri sat with 5 weak points. Then Mexico, with their heads hanging, went to Brazil. Nothing changed with Chepo. He fields the same thing with minor touches, expecting different results…which is mind boggling. Torrado has been one of the most ineffective players since Guille Franco and Bofo in the 2010 World cup. He has no offensive presence and any quality opposing attack leaves him in the dust. Salcido seemed to have found a rhythm at LB, but that quickly fell apart. His slow tendencies, long shots, and indecisive nature adds nothing for Mexico. He gets manhandled by Mario Balotelli, and instead of making a statement and throwing in Reyes against Brazil…Maza is the starter. And what happened? Maza heads the ball beautifully to Neymar’s foot, almost on queue, for a Brazil goal. Then in the 93rd minute, Neymar makes a cut on Mier, and instead of covering for Mier, Maza watched Neymar fly into the box for the assist. I said months ago that Maza was not worthy of starter, let alone being captain. Yet, mistake after mistake, Chepo gives Maza the captains armband. As if Maza flipping off a camera wasn’t enough to show he is a weak leader. Obviously, Maza has only been able to lead a team into a gentlemans club. If Mexico can get a win against Japan, that is always good, but the verdict is out as far as I am concerned. Chepo de la Torre has lost his right to coach Mexico from here on out. Tijuana played to a draw against Palmeiras of Brazil in the round of 16 of the Copa Libertadores. Their next match up will in on the road on May 14. Monterrey won the CONCACAF Champions league after a huge four goal turn around in the second half against Santos Laguna. Monterrey will once again represent Liga MX at the FIFA Club World cup this winter. Mexico U-20 will participate in the Toulon tournament later this month (May 28-June 4). The format has changed from the previous years; there will be two groups with five teams, and the top two teams from the groups play in the final. Mexico is grouped with Nigeria, Belgium, Portugal, and Brazil. Chepo de la Torre made his way to Europe this week to meet with Mexican players abroad. After his statements about returning to El Tri, will Vela be on the list to meet with for Chepo? Mexico is rumored to be in talks with Ivory Coast for a friendly this August (MetLife Stadium). After the 2010 World cup in South Africa, Mexico was sure that it was going to look for a new coach. During friendlies in the autumn of 2010, Efrain Flores came out to help interm coach Mexico. His record went 1-1-1 as Mexico wrapped up 2010. In October 2010, Jose Manuel de la Torre was announced to be granted the spot as Mexico’s new manager. Since taking over, Chepo has been very successful. At this point in time, I believe it is a good to see how far Mexico has come with Chepo. Chepo has been a great fit for Mexico, as he now has Mexico atop their group so far in WCQ with 6 points. Chepo de la Torre has a tall test this Summer/Fall with a rivalry game against the U.S. in Azteca (August 15th), and more major WCQ games on the road. However, looking at his record so far, Mexico fans have a lot to be excited about.